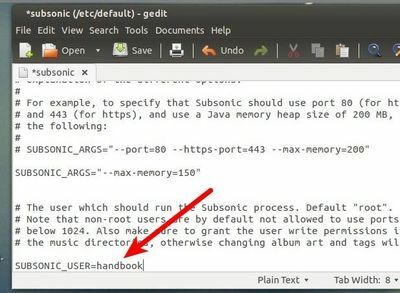 This simple tutorial is going to show you how to install Subsonic Music Streamer 4.8 on Ubuntu 13.04 Raring, 12.10 Quantal, 12.04 Precise. Subsonic is open-source, web-based media streamer, providing ubiquitous access to your music and video collection. It supports most media formats, such as MP3, OGG, AAC and any other audio or video format that streams over HTTP. Enjoy your music and movies no matter where you are. Share with family and friends. Browse and manage your media collection with the user-friendly web interface. Stream music to Android, iPhone and Windows Phone. Subsonic apps available for Roku, BlackBerry Playbook and many more. Download and listen to Podcasts. Get cover art, lyrics, reviews and other album info from Google, Chartlyrics, allmusic and Wikipedia. 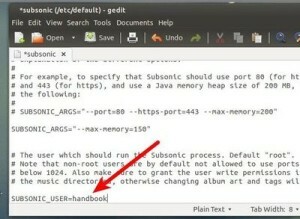 Subsonic requires Java, so first install OpenJDK from Ubuntu Software Center or Oracle Java from ppa. Then double-click on the downloaded DEB package and select install on Ubuntu Software Center. Click ‘Ignore and install’ if you get the below dialog. To do so, press Alt+F2, type in gksudo nautilus to open file browser with root permission. Then change username to yours in the picture. After all, restart your computer and open the Subsonic web page on http://localhost:4040.